As Bitcoin continues its bull run, the top alts by market capitalization have also made strides of their own. Ripple shot to new all-time highs (ATHs) this week and Litecoin has now activated SegWit, a block size and scalability protocol change. Litecoin will continue to receive further protocol upgrades made possible through SegWit activation. Ethereum is due for a protocol change, Metropolis, in the form of a hard fork sometime later this year. From a user standpoint, a competitive protocol change and upgrade environment with active developers amongst the top coins ensure these technologies will continue to push the limits of finance and beyond. 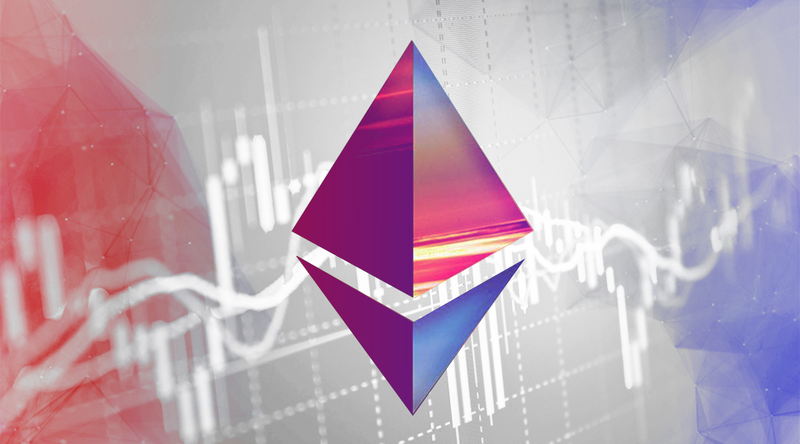 Despite showing some signs of slowing last week, Ethereum continues to break hash rate ATHs, now at almost 25,000 GH/s, suggesting that miner confidence in the future of Ethereum remains strong. GDAX continues to take the lion’s share of volume, suggesting that USD fiat on-ramping remains strong. Bitfinex also continues to sit slightly higher in price than the other exchanges due to ongoing USD deposit and withdrawal issues. Ethereum has had two recent chart patterns that failed to complete to their respective targets, seen here on the four-hour timeframe. There was a large bearish formation, head and shoulders, which failed to break below the 200 EMA despite having the matching volume profile. Most recently, there was a bullish continuation pattern, cup and handle, which failed to cleanly break horizontal resistance with volume. For determination of trend, the position of price relative to the 200 EMA is the gold standard. Despite two failed chart patterns, trend remains bullish while above the 200 EMA. A break of this range with volume should be the deciding factor for direction. The daily timeframe is also showing no threat to trend with the most recent pullback due to a bearish divergence, measured from RSI, a momentum oscillator. While hindsight now, this is the type of structure — higher high in price and lower high in momentum — to identify before the price reversals occur. RSI has also reset to around 50, which usually suggests continuation of trend after correction. On the 30-minute timeframe, there is an active bullish reversal chart pattern known as the Adam and Eve double bottom. The Adam, a steep V, and Eve, a gentle U, is a very common fractal pattern when solid support has formed. The measured move for resolution is the distance from horizontal resistance to the bottom of support, projected upward, which yields a target of ~$100 (0.0572). This horizontal resistance is also a key zone that broke upward previously after a triangle consolidation. The competitive development milieu for the top cryptocurrencies is important to ensuring a healthy user experience. Hash rate suggests continued miner belief in the strong future of Ethereum. Although range-bound after two large but failed chart patterns, trend remains bullish. A low-timeframe double bottom pattern suggests support has formed and price will shortly return to the top of the range. Trading and investing in digital assets is highly speculative and comes with many risks. This analysis is for informational purposes and should not be considered investment advice. Statements and financial information on Bitcoin Magazine and BTCMedia related sites do not necessarily reflect the opinion of BTCMedia and should not be construed as an endorsement or recommendation to buy, sell or hold. Past performance is not necessarily indicative of future results.